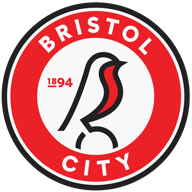 Highlights of Bristol City's 2-1 win away to Fulham in the third round of the EFL Cup. Tammy Abraham netted a 90th-minute winner as Bristol City stunned Fulham 2-1 at Craven Cottage in the EFL Cup. The victory sent the visitors into the fourth round for the first time since 1989, after the hosts missed a second-half penalty. Both teams made 20 changes between them, with Fulham fielding an entirely different starting XI from their goalless draw at Wigan. Aden Flint and Marlon Pack were the only two players who started the Robins' clash with Derby, while manager Lee Johnson gave debuts to Gustav Engvall, goalkeeper Ivan Lucic and England Under-20 captain Taylor Moore. 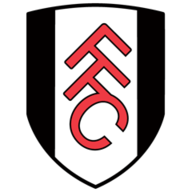 Fulham got the breakthrough their play deserved after 15 minutes when Lucas Piazon met a Cauley Woodrow cross with a diving header to score his first goal for the club. A confident display by Woodrow was further highlighted in the 28th minute when he blasted a 30-yard free-kick just wide of the left-hand post. Fulham's pace almost undid the visitors after 35 minutes when a break allowed Adetayo Edun to play in Woodrow but a brave dive at his feet by Lucic prevented a second goal. Bristol City stunned their hosts with an equaliser out of nowhere. A run by Callum O'Dowda found Aaron Wilbraham who was able to chip his effort over onrushing goalkeeper Jesse Joronen. Fulham started the second half back on the attack and were given an excellent chance to take the lead five minutes after the restart when Woodrow was brought down in the area by Moore. However, debutant Lucic guessed correctly, diving to his right to save Woodrow's spot-kick. The miss appeared to knock some life out of Fulham and the visitors almost took advantage after 66 minutes when Pack played in Wilbraham, only for the goalscorer to scuff his shot wide. Captain Wilbraham was guilty of another poor miss three minutes later when his connection from an O'Dowda cross should have found the net but instead was placed wide of the post. Luke Freeman sprung the Fulham offside trap with six minutes remaining but Joronen was able to get enough on his block to turn the ball to safety. Right on the stroke of full-time, Chelsea loanee Abraham turned in a cross by O'Dowda to grab Bristol City an unlikely victory - his ninth goal in 11 appearances.